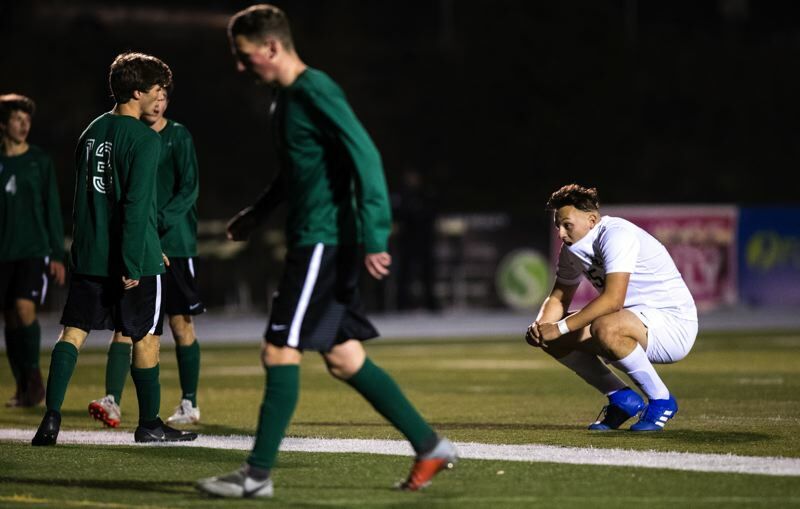 The David Douglas boys soccer team beat the whistle to force overtime, but it was Summit scoring in extra minutes to escape with a 2-1 win on its home field in Tuesday's 6A semifinal match. 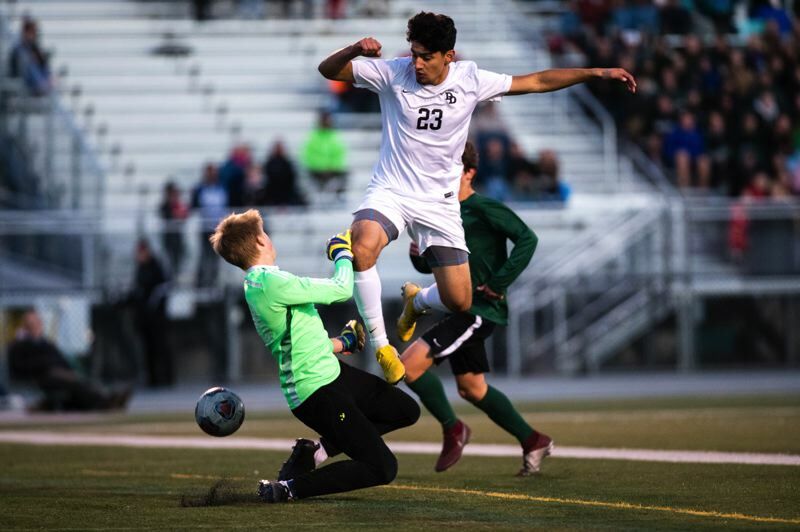 Playing from behind most of the match, David Douglas kept pressure on the Storm's side of the field through most of the second half forcing Summit goalie Khael Engelman to make a pair of difficult saves, while a couple other chances sailed wide of the mark. "We'd been pushing the entire game. We talked to our guys about staying patient and we'd get that opportunity to score," David Douglas coach Logan Marquardt said. That opportunity came with less than a minute on the clock when Rigo Mendez hit a crossing pass with teammates Isaac Rangel Villafuerte and Esad Salihovic both making runs on the far side. Villafuerte ran onto the ball first and put it past the keeper from 5 yards out, following the ball as it crossed the goal line and splashed into the net. "They had been getting penetration behind their back line, so our guys knew it was working," Marquardt said. "It felt like the momentum had shifted in our favor right when they were getting ready to celebrate." Summit answered eight minutes into overtime when Jace Marshall sent a long cross into the box, and rookie Nathan Deperro knocked a one-timer off the bounce for what proved to be the winning goal. Look for expanded coverage ahead in our Friday, Nov. 9, print edition.